Every year the Launstein family counts down the days until the beginning of the Rocky Mountain Elk rut. 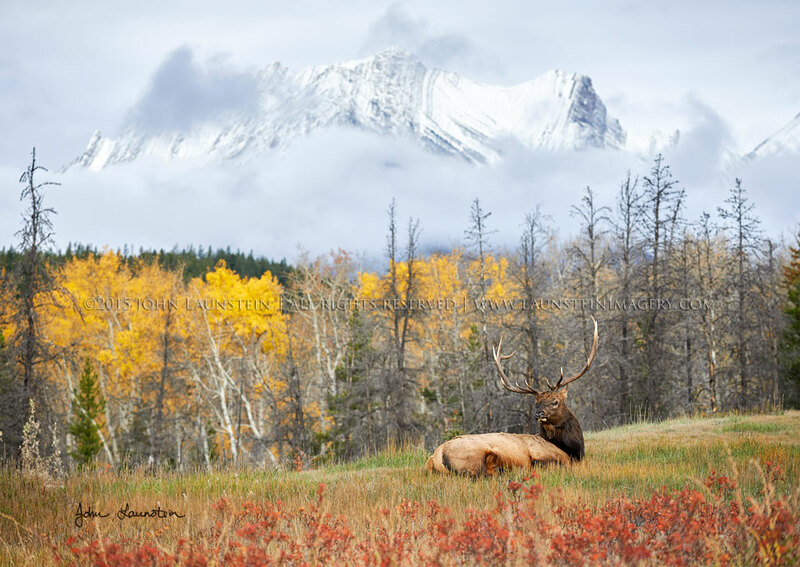 When John and Josiah woke up to fresh snow in the mountains in Jasper National Park, Alberta, they knew they wanted to watch for some “Elkscape” opportunities. Although they had scouted this location earlier, they sure weren’t expecting to find a model as cooperative as this handsome bull was! He certainly picked one beautiful spot for a break from the rut activities!